Last year Californians finally allowed their green plant friend into homes legally on Election Day; in an effort to change the rules again, State senator John Weiner introduced a bill with a simple request to extend the golden state’s last call to 4AM instead of 2AM. 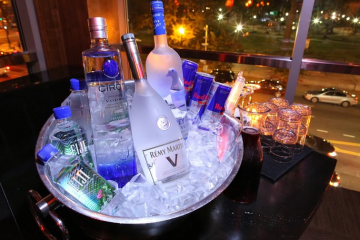 Those against the bill say that there is no need to extend the deadline because it is not worth more time for potentially irresponsible behavior thanks to alcohol, but local bars and clubs think the opposite. 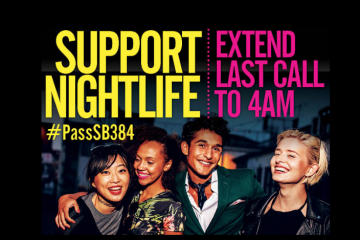 DNA Lounge in SAN Francisco, for example, would benefit greatly from the extended hours in order to stay financially sound. When the weekend hits and they’re at their busiest, four hours of business is just not enough. The bill has been introduced, stay tuned for more updates on what’s to go down. Flumes Shares EP II Tracklist Featuring Pusha T, Glass Animals + More!